I cannot believe I have gone so long without doing a blog post. I got sick, got busy, went out of town and life has just been a whirlwind. Things have finally settled down a bit, so I am back at it. Last night my super cool cousin, Jake flew in from China. He spent two and a half years there teaching English and studying Mandarin. He is staying with us for two months while he settles in and finds a job, car, apartment etc. I love having him here and I know its going to be a fun two months. Last weekend Cody and I went to Lubbock to go to Texas Tech’s homecoming football game. Cody graduated from Tech so it really was like going home for him. We had a wonderful trip and it was nice to have some one on one time with each other. 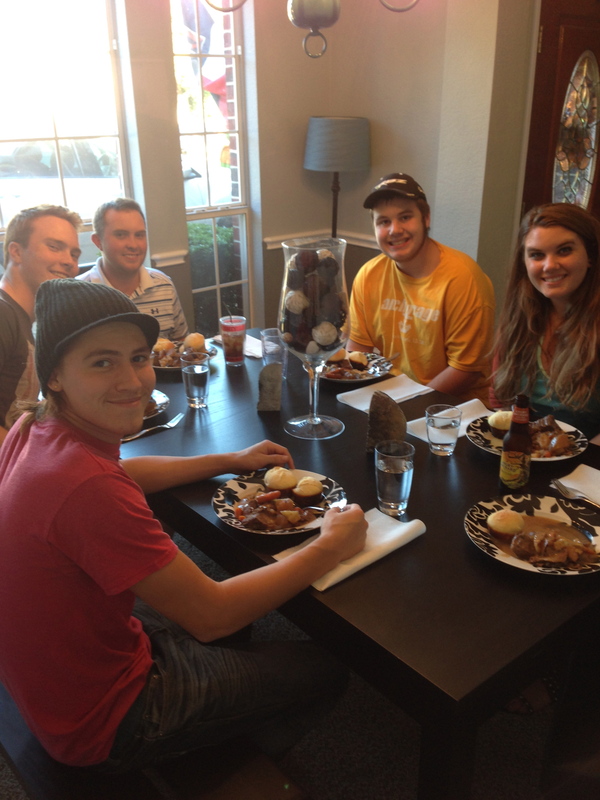 The night before we left I made a pot roast and invited my siblings over for dinner and instructions on how to care for our high-maintenance dogs. My brother, Justice absolutely LOVES my cooking, he loves food in general like I do and he really appreciates quality food. I love having him over, because he is the most like me of all my siblings and who can resist another foodie? 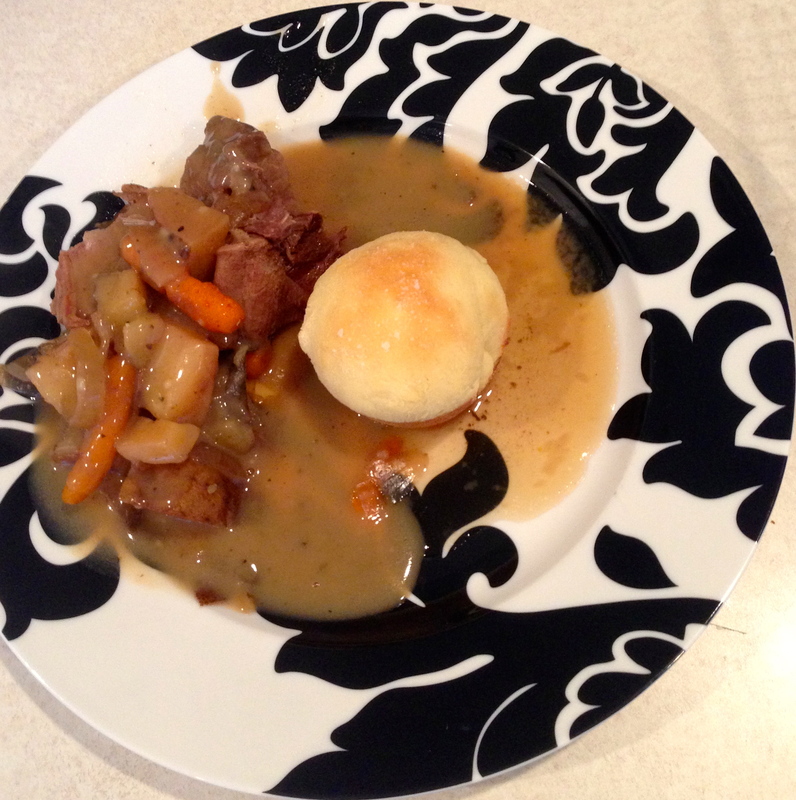 My pot roast can be made in a slow cooker or in a dutch oven and baked, whichever you prefer. I used a slow cooker this time because I was running around busy all day and slow cookers are ideal for busy days. Warning, this recipe may not produce leftovers….its that good! Arrange all the ingredients into your slow cooker and cover it with the liquid. Cover and cook on high for 5-6 hours. When its done, ladle off some of the broth and put it in a small saucepan. Whisk in flour 1 Tbs at a time until desired thickness. Serve with yummy fresh baked rolls and tossed salad. 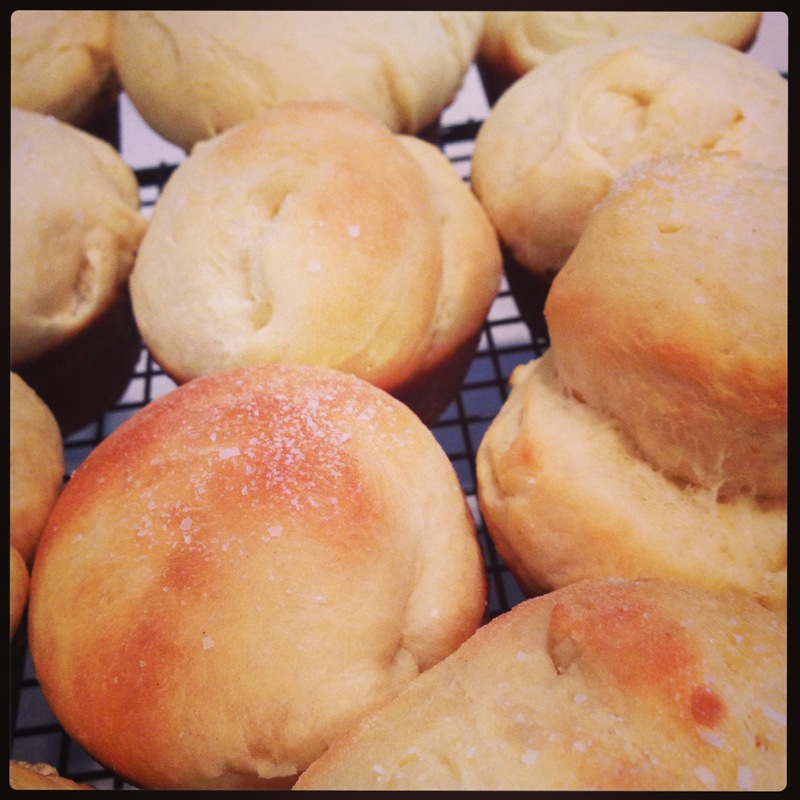 These rolls are surprisingly simple and really impressive. Everyone had at least two with dinner. in a medium saucepan scald the milk and stir in the butter and salt. Remove from heat and let cool. In a large mixing bowl mix the hot water with the sugar and sprinkle the yeast on top. Once the yeast is foamy add the eggs, lemon zest and the milk mixture. Add the flour one cups at a time and combine between each addition. Knead the dough lightly until it is smooth. Spray a large mixing bowl with nonstick spray and place the dough in the bowl. Cover with a clean dishtowel and let rise for about 2 hours. Once the dough has doubled in size punch it down and turn it out on a well floured surface and knead lightly. Spray 2 muffin tins with nonstick spray and set aside. Pinch off sections of dough and roll into balls. Place the balls of dough in the muffin tins and let rise again until they have doubled in size. Brush with melted butter and Bake at 425 for 10 minutes. Remove from the pans and cool on a rack, serve with butter. Enjoy! I’ll have to give your recipe a try! I’ve never tried putting the liquids in with my roast in the slow cooker. I always use juices from the roast after its done to make my gravy on the stove (i make a beef/mushroom gravy). Maybe after 18 yrs its time to mix it up and try something new. Yours looks delicious!